SAN FRANCISCO — The San Francisco Japantown Foundation is inviting applications from qualified organizations for direct grants of up to $10,000. Applications will be available at http://japantownfoundation.org/grants on Thursday, June 27, and are due by Monday, July 29, at 5 p.m. The foundation’s 2013 grants program will provide direct grants, rather than the matching grants provided in previous years. These grants will also be for organizations, rather than for specific projects or programs. The foundation made these changes based in part on feedback from community members. Grants may be used for a variety of purposes, including but not limited to administrative costs, program expenses, or salaries. The foundation will award grants to organizations that demonstrate the value of their organization to the Japantown community, the effectiveness of their services and/or activities, and their financial sustainability. Startup projects or organizations founded after Jan. 1, 2012, will not be eligible and grants may not be used to pay for past debts, or current operating deficits. Applicants must meet several eligibility requirements, including status as a tax-exempt 501(c)(3) organization, or being fiscally sponsored by a tax-exempt organization. Applicants may request up to $10,000, but the foundation may award grants in lower amounts based on funding availability. Grants will be announced on or around Aug. 21. 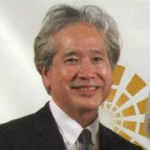 The Japantown Foundation was formed in December 2006 through generous endowments by Kintetsu Enterprises of America, Jack Hirose, Hats and Amey Aizawa, Union Bank, and Minami Tamaki LLP. The foundation’s mission is to support cultural, community and educational activities for San Francisco Japantown. The foundation has provided more than $600,000 in funding since 2007. For more information, visit http://japantownfoundation.org.